Vodafone is to start selling hardware that makes it easier to use a mobile in the home. The box, known as a femtocell, is essentially a tiny base station that boosts mobile signals within the home. The hardware, which Vodafone has dubbed the Access Gateway, routes calls across a broadband connection. The Access Gateway will go on sale on 1 July for a one-off purchase of £160, a monthly charge of £5 or as part of a £15 per month mobile deal. The device can support up to four calls at a time and works with any third-generation (3G) phone. 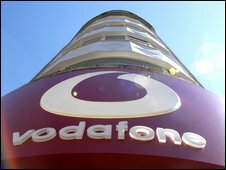 Vodafone said it had been trialling the technology for six months before taking the decision to launch the service. Those signing up will have to register which phones will be routing calls via the gadget. "There's a service imperative where people are using mobiles at home more and more in terms of signal quality around the house and through the walls of building," said Nigel Toon, head of femtocell chip maker Picochip. "There's definitely some challenges there." Mr Toon said femtocells would also prove useful as operators extended the range of services they were offering and worked to cope with the growth of mobile broadband. Data use on mobiles is projected to grow enormously, said Mr Toon but operators would not be able to put up more base stations to cope with usage. "To handle that the carriers have to have a lot more capacity in their networks," he said.